Have you ever noticed how the worst mishaps seem to happen when you least expect them? The best time to prepare for the next road emergency is before you travel. 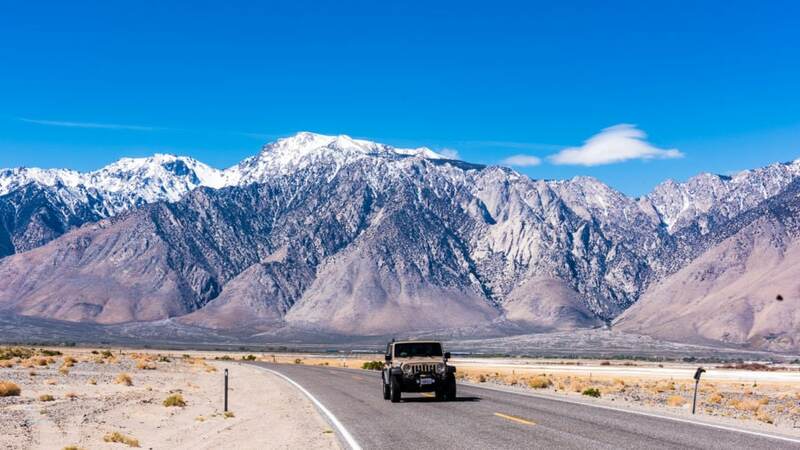 Here are road trip tips and the ultimate roadside emergency kit to survive anything Mother Nature throws at you. Winter settles in on Blue Ridge Parkway, creating temporary road closures. The American Red Cross offers First Aid and Disaster Training classes online and at local chapters. FirstAidWeb – self-guided online CPR and First Aid courses. Online state certified defensive driving courses reduce points and insurance costs. Compare state laws and sign up for AAA Defensive Driving and safety classes. AARP Smart Driver Course (for drivers 50+) covers defensive driving and latest auto technology. “Learn to Anticipate” at Defensive Driving Academy. 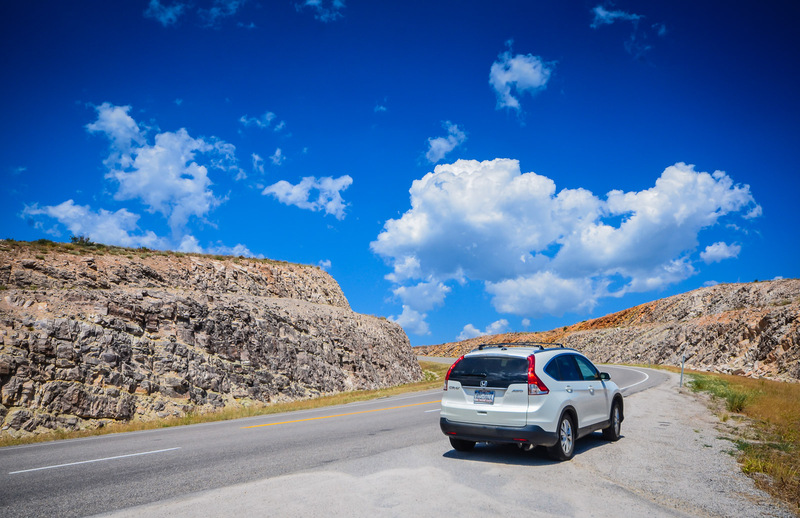 Advanced Driving courses go beyond defensive driving, while familiarization courses instruct visitors to the USA (or Americans/Canadians visiting other countries. Bridgestone Winter Driving School in Steamboat Springs, CO runs programs for everyday drivers and pros. Find out how to handle rough terrain at the Jeep Off-Road Driving Academy located at the Nemacolin Woodlands Resort in Western Pennsylvania. Replica of England’s Stonehenge at Carhenge in Alliance, Nebraska. Always let a friend or family member know where you are going when traveling beyond your usual routes. Roadside Assistance Services are available from a variety of clubs such as AAA or Allstate Motor Club, and even as a credit card benefit. Call up roadside assistance on Honk, a free app, no membership required. 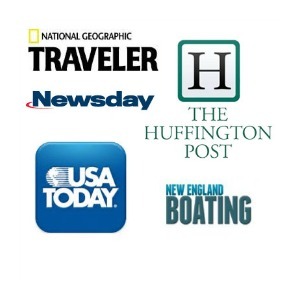 Available nationwide, with 15 – 30 minute ETAs on average, and prices $49+. Hedge your bets with travel insurance from Allianz or InsureMyTrip.com. 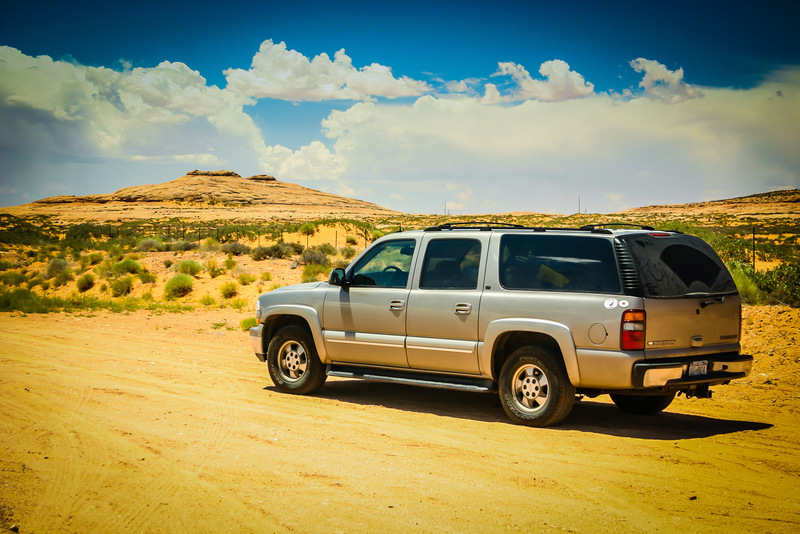 Ensure all fluids–including oil, anti-freeze, and windshield washer reservoir– are clean and full. Verify that the oil is the right one for anticipated conditions, and that windshield washer fluid contains deicer in winter. Test windshield wipers for smearing. If the battery is 3-5 years old, get it checked. If your brakes exhibit any of these 5 signs, get them tested. Weather Channel – Breaking news, hourly and 10-day forecasts, personal weather reports, videos, ski conditions, and much more. Weather Underground – Weather Advisory alerts, finger-friendly WunderMap, hyper-local reports, day/hour and 10-day forecasts, plus filter options for US Fronts, Hurricanes, Active Fires, etc. Dark Sky ($3.99, iOS only) – weather reports specific to your location, sunrise and sunset times, hour/day and week forecast, precipitation/temperature map, opt-in rain/snow notification. WeatherBug – GPS localized, Spark™ lightning detector (monitor specific locations with radar map, severe weather alerts and National Weather Service warnings with push notifications, weather and traffic cams, interactive maps, and extended 10-Day forecasts. NOAA Radar (Free and Hi-Def versions) – the latest information from the National Oceanic and Atmospheric Administration including: hurricanes and tropical storms, extended forecasts, and extreme weather notifications. Sigalert.com – provides roadside traffic cameras, real-time road speeds, and round-the-clock traffic reports for 75 metropolitan areas. INRIX – crowd-sources phones and GPS data from millions of trucks, cameras, road sensors, in-car navigation systems to provide traffic conditions, routing options, and road alerts. Waze – community-sourced, it’s been described as “like Foursquare but for driving” with extremely accurate real time driving directions, maps, and traffic reports. 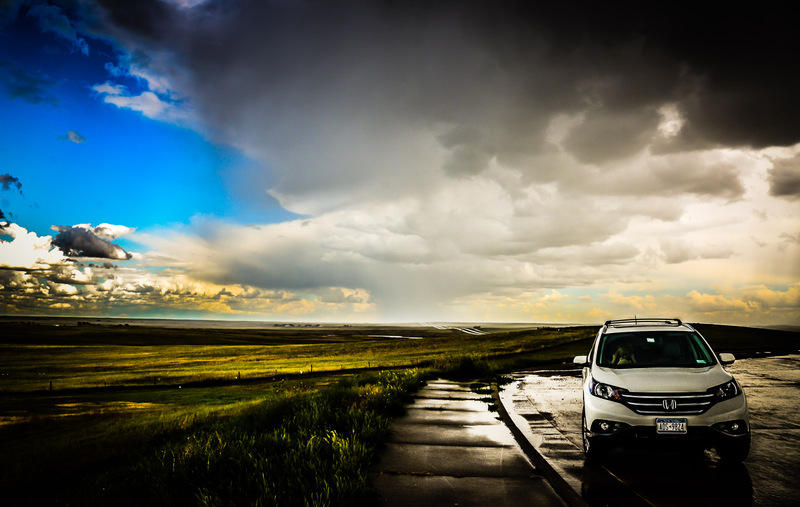 The safest way to handle extreme weather on the road is not to experience it at all. Find the nearest lodging on your favorite hotel booking app and get some shuteye before getting back on the road. Because you never know when you’re going to need a lifeline, never leave home without a fully charged cellphone–preferably a smartphone with all the apps listed above. 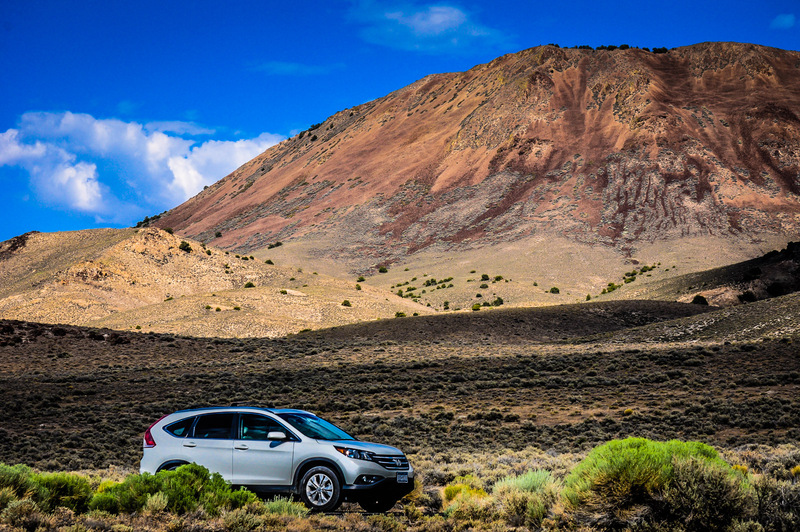 If you’re heading out for more than a short distance, pack an extra battery pack. Options range from the cheap Astro Mini to the bulky, yet powerful, RavPower external battery. Consider renting or buying a satellite phone if heading to regions with spotty cellphone coverage. We’re partial the tiny but mighty Garmin inReach Mini. Children’s version of medications, if traveling with kids. Open your window to listen for traffic you can’t see. Reduce distractions; turn off radio and cell phone. Use the right edge of the road or road markers as a guide. Drive cautiously: slow down (high speeds and/or worn tires can result in hydroplaning,) signal turns well in advance, brake early. Do not stop on busy road. Signal, pull off as far as possible, and turn on hazard lights. An enclosed metal vehicle–with all doors closed and windows rolled up–is relatively safe, but NOT any open or soft top vehicle. Pull off the road as a lightening flash can cause temporary blindness. Avoid driving through water, as little as six inches can cause you to lose control while two feet will carry away most cars. Don’t drive through standing water if you see fallen power lines or electric wires nearby. If a power line or electric wire falls on your car, drive away from the wire. But don’t turn off ignition, even if the engine stalls. Stay in your car and wait for emergency workers. Don’t let anyone other than emergency workers near your vehicle. Colander to strain snow, car-kettle to warm it, and large bowl to collect warmed water. Don’t drink cold water or snow! 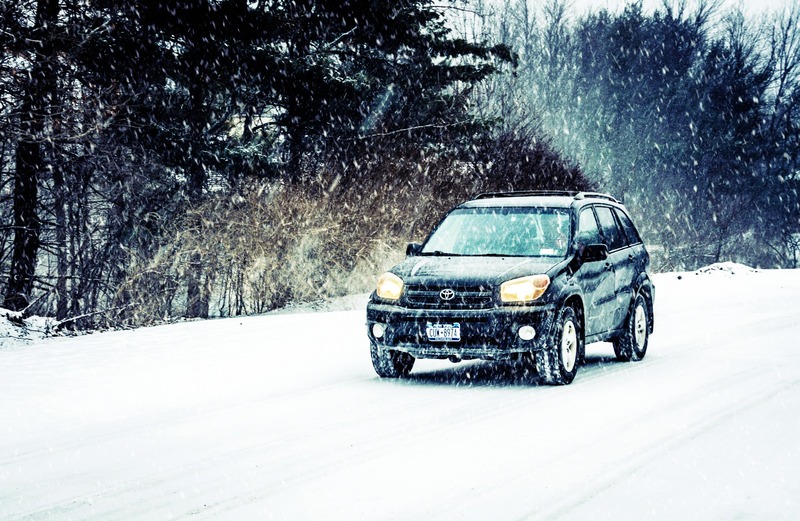 Conserve gas, but keep car warm by turning on engine every 15-20 minutes. Make sure tail pipe is clear to avoid carbon monoxide poisoning. Stay warm by wrapping up in extra clothes and blankets and moving often. Extreme cold can reduce cellphone battery life, keep cellphone close to body and limit use to stay connected. Increase your drinking water supplies if heading into desert or extreme heat conditions. Plan to have 2-3 liters of water per person, per day. 2-gallon water jugs with spigots are handy, as are refillable dromedaries. And one or more windshield sun shades can help keep parked cars coolers. Regardless, NEVER leave pets or children unattended. 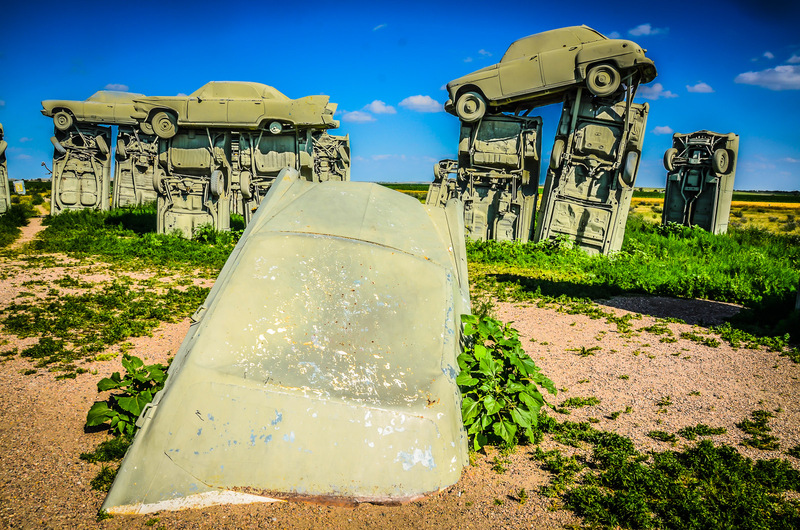 The iconic roadside attraction, Cadillac Ranch, in Armadillo, Texas. Don’t Try to Outrun a Tornado! If you see signs of an approaching storm or you get a tornado alert, stop your vehicle. Don’t try to outrun a tornado and don’t park or hide under an overpass (winds are faster there.) Motor vehicles are easily tossed by high winds, so it’s best to abandon it–unless the roadway is the lowest ground you can get to. If that’s the case, buckle up, lower your head below the windows, and cover up with a blanket if available. Being a Australian,we all know what it is like when bushfire season comes every summer. If you happen to live near wooded areas,and a flash fire erupts and your property and belongings are in danger of being destroyed,then most of us are constantly prepared for evacuation,as a flash firestorm engulfs everything in it’s part and they move surprisingly quick with the wind at their back. When summer is on us we ready and prepared with the above. Oh, that will really keep someone survive anythings excluding zombies. I really love your guide and it helped me remember some things like the fold shovel which I had already started forgetting. I am using this list as my guide to plan for my trip. Thanks a lot for sharing. No, I haven’t ever noticed how the worst mishaps seem to happen. 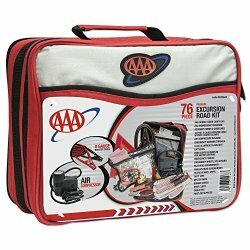 After reading your post, I recognize that it is very essential to know how to pack the ultimate roadside emergency kit and what I need to know to survive anything Mother Nature throws at me. I like how you mention to buy a tactical flashlight. There are a lot of things that are important in an emergency, but light is essential. If I was in an emergency, a flashlight is one of the first things that I would want. Thanks for the list! Going to have a long camping soon with my son. This post is really helpful. Some items left to buy. Thank you very much. There are great “prefab” first aid kits for cars out there.The “stuff” could include: flash lights, spare change and at least $20 or more in bills, extra clothes, rags, gloves, pen and paper, non-perishable snacks and fresh water. The level of detail of your planning will depend on the nature of the trip, your sensitivities, and your level of risk and your resourcefulness. If a car accident leaves you stranded, you need to be able to treat injuries as best as possible. 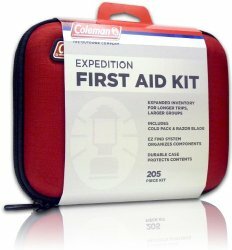 The American Red Cross has a great webpage devoted to first aid kits. I am impressed with all the resources you list here. After reading this, no one has an excuse not to increase their first aid and driving skills. What a detailed comprehensive list of potential emergencies! In all of these situations, it’s always good to have a form of communication, either during an emergency or after. Thanks for sharing!